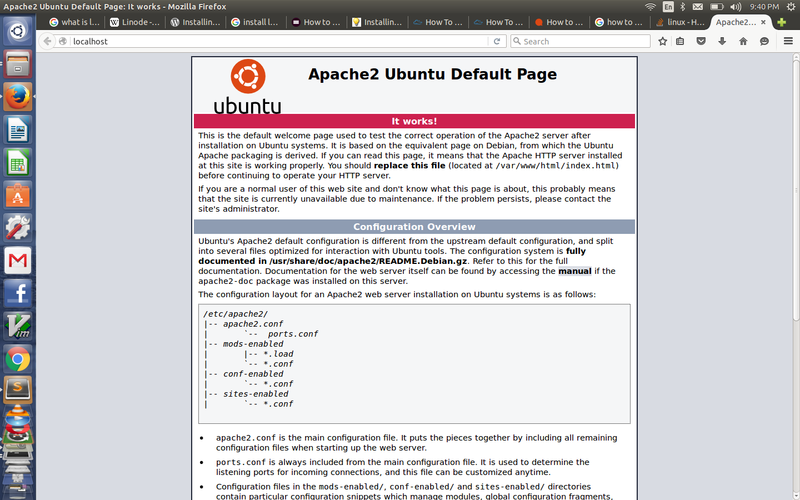 I wanted to setup a LAMP stack on my Ubuntu. I was kind of hopin that it would be just a walk in the park as what i did with windows WAMP. I tried googling the steps and did find some nice tutorials. I will walk you through with my installation and hope i’d be successfull with this exercise. Notice that we added “php5-mysql” so that php5 and mysql can properly communicate with each other (“some helper tools”). 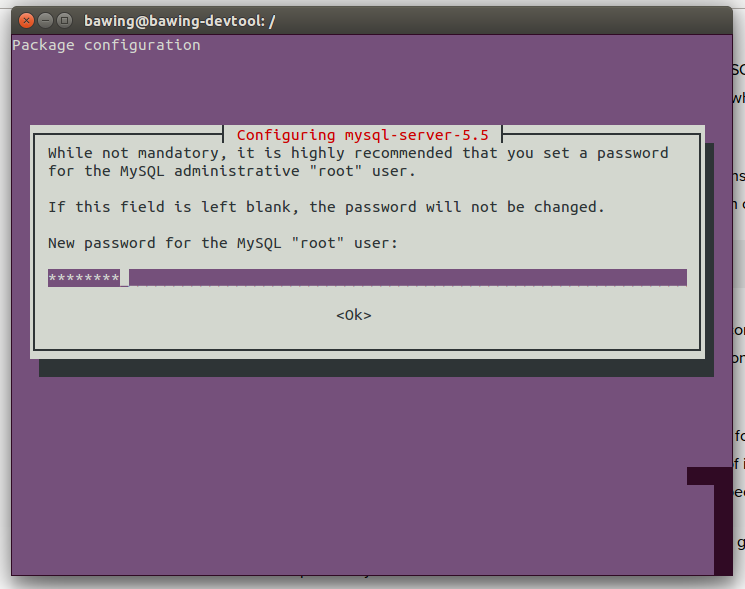 During installation it will prompt you to enter a root security password for the root access of your mysql database. Enter password: "here you type your password"
then you should see the server verion of your mysql and other stuff. Just type “exit” to go back to command prompt. We need to execute and tell MYSQL to create its database directory structure where it will store its information. You will be ask security questions. I answered “Y” for all of its questions hehehe just bring it on. It is important to notice that we change some behavior of apache2 to identify .php prior to .html and others, so we need to restart the service for the change to take effect. 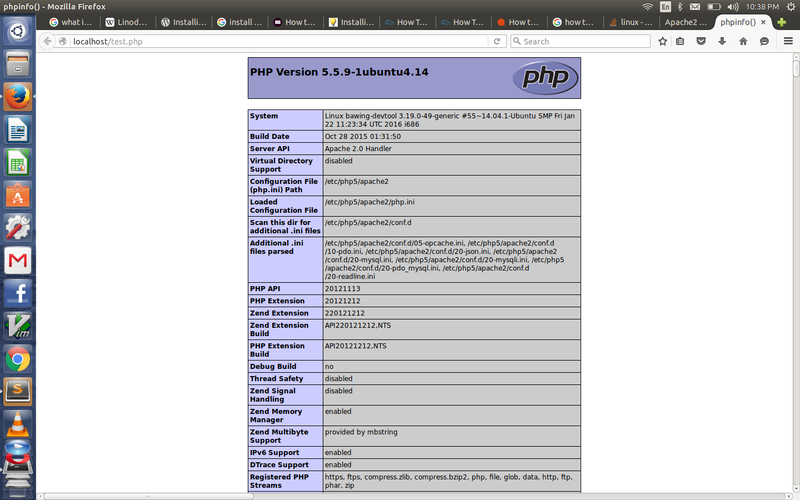 You should see PHP Version in your screen and its configuration and lots of information. Yes we did it! we did it! Time to coooooooooooooooooode! Good day everyone! If you are running the code/site accessing MySQL on the same machine, hostname would be localhost. GRANT – This is the command used to create users and grant rights to databases, tables, etc. ALL PRIVILEGES – This tells it the user will have all standard privileges. This does not include the privilege to use the GRANT command however. dbtest. * – This instructions MySQL to apply these rights for the use onto the full dbtest database. You can replace the * with specific table names or store routines if you wish. IDENTIFIED BY ‘password’ – As you would have guessed, this sets the password for that user.